I love the show Shark Tank, and I often read Shark Tank success stories to learn more about the company after the show is aired. 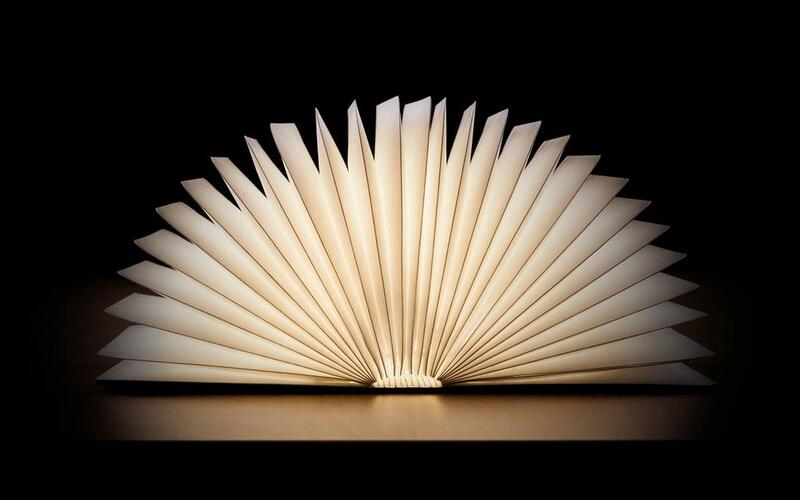 One of my favorite products on the show is Lumio, a portable lamp that folds into a book. Lumio is the first product from a studio dedicated to helping people live large with less. The studio is focused on multi-functional, everyday objects that are simple, intuitive and beautiful. The Lumio brand creates modern lighting systems with the simple goal of giving people the freedom to experience beautiful lighting wherever they are. With the Lumio, the light comes from long lasting LED modules that can also be dimmed when needed. Powered by a rechargeable battery that is charged with a USB, you can use this product for up to 8 hours continuously. Three great design features are that the exterior is FSC-certified wood, the interior is water resistant and 100% recyclable, and magnets are in place for flexibility & support. With tech products, the design is essential. The product must first attract the user visually before the benefits are explained. Robert Herjavec, a Shark Tank investor, saw that Gunawan understood this concept due to the Lumio's sleek design, ease of use, and beautiful aesthetic which led to a partnership between the two. Lumio has been featured in San Francisco Magazine, Inc., Huffington Post, Digital Trends, and many more publications. I am very impressed with the founder and this product, and I am excited to see large growth from the company in the future. Goodbye Old Lamps, Hello Lumio.